Customers love self-service, and it's a great way to reduce your support costs as well. One of the best things you can do is build a customer support site to provide customers the information they need and reduce your support costs at the same time. 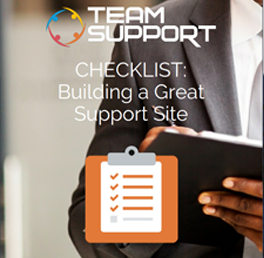 Although this can be an intimidating project we've put together a handy checklist to help you build a great customer support website, from choosing the right platform to creating your site and sharing it with the world!